SAGE Center recognizes the whole child; the beauty of the whole child is demonstrated in a myriad of forms – in art, in music. To fully support and balance the whole child, additional resources are available through expanded creative opportunities. In her work as a consultant, Ulcca’s aim is to make sure that parents are informed and aware of the best choice of action to meet the needs of their children. It is in this particular area that Ulcca’s expertise will enhance the breadth of services that SAGE Center has to offer our discerning population. Ulcca has worked in public education for over twenty years. She has served in a range of organizations and roles, all of which help inform her understanding of the culture, climate and work of schools and how they may best be designed to support the developmental and learning needs of children. Ulcca began her career as an elementary and early childhood educator in New Jersey, and later spent fifteen years working directly with teachers, leaders, schools and districts in a variety of roles in the public, private and non-profit sector. Whether her job has entailed being a researcher, non-profit leader, policy advocate or organizational consultant, the guiding principle behind her work is promoting and supporting student-centered learning environments that maximize the unique potential of individual children. Ulcca has spent thousands of hours understanding research across a range of disciplines that should be shaping how schools are organized to best serve learners. Her professional projects have allowed her to interview and work with hundreds of teachers and school leaders in hundreds of schools internationally and across the United States. In 2014, Ulcca founded Educating Potential to focus on the work she believed would make the most difference in the lives of individual students and families: helping parents better understand what science tells us children need – as human beings and as unique learners – so that they can make better choices about their child’s education. In addition to working directly with families and students, Ulcca focuses on writing, advocacy and consulting aimed at ensuring that parents have meaningful access to schools that can support the needs of their individual children. This includes having the knowledge they need to ensure that their child’s school fits their child, rather than struggling to make their child fit a school. This is the focus of her forthcoming book, “The Future of Smart.” Ulcca also conducts trainings for schools and educators around issues of educational equity and diversity in schools, and on how to make the shift towards coaching high school students in making decisions about their own educational pathways. Over the course of her career, Ulcca has consulted with numerous organizations including the US Department of Education, the American Institute for Research’s Great Teachers and Leaders Program; Stand for Children; the National Center for Assessment; the Massachusetts, Georgia and New Jersey Departments of Education; Oxford University and the British government. She serves as a Lecturer at the School of Public Affairs at the University of Colorado, and an Adjunct at the University of Denver where she teaches education policy. Ulcca holds a BA in Philosophy and German from Drew University, and a certificate in early childhood and elementary education with a focus on special education from St. Elizabeth’s College. She earned her PhD (DPhil) in Education and Philosophy from Oxford University and a JD from Harvard Law School. She has been recognized nationally for her academic achievements and her commitment to public service through education as a 1997 Harry S. Truman Scholar; a 2001 British Marshall Scholar; and a 2005 Paul and Daisy Soros Fellow. She continues to be active mentoring young people about their educational, career and personal pathways through leadership programs such as these. Ulcca has two children, both of whom attend a local public school, the Rocky Mountain School of Expeditionary Learning. She first encountered SAGE when she was looking for educational supports for her older son, and is pleased to be able to join a team of professionals who are committed to supporting parents and students in finding or creating an educational experience that maximizes a child’s unique potential. In an excerpt from her “Open Letter to Parents” Ulcca writes: “I know that every single child is a sacred being with unique skills, dispositions, talents and interests. And I believe that what the world needs is for each child’s unique potential to be seen, valued, nurtured and celebrated … I know that actions are more powerful than words; that children become what they experience and do – and that school is a huge part of where young people get to experience the richness of who they are. I believe that children should grow into self-confident, courageous adults, who are not afraid to fail and get back up, who have a sense of wonder about the world and a desire to keep learning about it. I believe the world will benefit most from children becoming adults who are willing to dig deep to discover the things that matter most; who appreciate the value of long-term outcomes; and who are willing to stand up for their beliefs." SAGE Center is delighted to welcome Occupational Therapist Nisa R. Libbey to our growing faculty. Nisa brings a wealth of experience from both her private practice and collaboration with other clinical and educational professionals to provide high-quality services to clients and families. As Lead Occupational Therapist for Consultants for Children (Lakewood, Colorado), Nisa worked with behavioral specialists and administrative staff, seeing children with autism in their homes. Her clients have ranged in age from three to seven years, most have been verbal to some degree and some have been highly verbal. Goals have included improvement in performance of specific Activities of Daily Living (ADL’s), adaptive skills and self-regulation and reduction in rigid behavior. In 2015, Nisa established her private practice in Lafayette, CO. Libbey Occupational Therapy Services, LLC, accepts referrals of children through adults with neurocognitive differences. She has assessed and treated children with behavioral and self-regulation challenges worked with teens and young adults on developing community mobility skills and worked with adults on the development of ADL’s needed for self-care and success in work settings. Nisa worked in a volunteer capacity at Bridge School, Boulder, in its last year of operation as its Board of Directors sought to decide on either complete closure or to transition to a new direction. Bridge School indeed re-opened in 2011 as Temple Grandin School; from 2011 to 2015, Nisa was an integral member of the team that developed and established it a private school for twice-exceptional and highly gifted students. As a member of the admissions team, she interviewed families and prospective students, helped with the initial interviewing and hiring of teachers and subsequent additional teachers as the school became successful and expanded. She worked directly with faculty to develop life-skills programming, determining necessary skills to teach and finding ways to engage students and parents to support initial learning and generalization of skills. Nisa also provided population specific information to staff, participated in classroom design, creating spaces that served the needs of our often-sensitive population of students. This hands-on participation benefited all when called upon to help parents of students of TGS to problem-solve and prioritize for their child's social and academic success. As staff Occupational Therapist at Western Institute of Neurodevelopmental Studies and Interventions in Boulder, CO, Nisa developed a private outpatient clinic, assessed handwriting, keyboarding and self-regulation skills of client children engaged in intensive programming, developed and implemented treatment plans, coordinated with other disciplines including Neurology, Psychology, Speech Pathology as WINSi’s first OT in the Boulder location. Active in Community Service, Nisa has worked with the Autism Society of Boulder County (ASBC) founding a creative group for teen girls; her co-facilitator is an intellectually gifted young woman with a late autism diagnosis. Together their goal is to reach teens that are socially isolated and may not have a diagnosis. This group has been holding meetings once a month since October 2017. At ASBC, Nisa is also a volunteer facilitator for a support group for parents of adult children on the spectrum since October 2015. At the Bridge School, Nisa is an autism population consultant for administrators, parents, teachers, and classroom support and also a consultant to the Bridge Board of Directors. Nisa earned a BS in Occupational Therapy from San Jose State University. 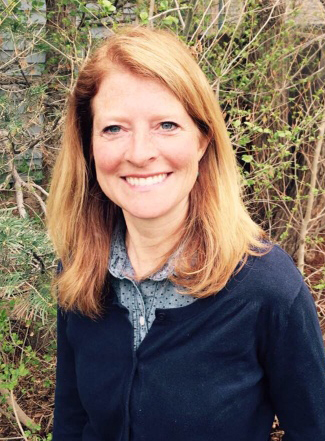 She has certifications and licenses with NBCOT, Department of Regulatory Agencies (DORA) and is a member of the American Occupational Therapy Association (AOTA), Colorado Occupational Therapy Association (OTAC). Bethany received her Master of Science in Occupational Therapy degree from Washington University School of Medicine in December 2001. She immediately began her career in Occupational Therapy in January of 2002. She has taken continuing education courses throughout her career, including topics on sensory integration, diet, and alternative treatments for Autism Spectrum Disorder, PDD, and ADD/ADHD. Bethany began her career working in hand therapy, specializing in fine motor rehabilitation and strengthening, and became an expert in custom-splinting. She added pediatric occupational therapy experience in 2004, working for a private practice in early intervention. Bethany continued her path working with children in 2010, when she and her young family moved to Mount Pleasant, SC, where she worked for the Charleston County School District. After taking a year off to travel and homeschool her children, Bethany and her husband chose to settle in the Boulder, CO area. She opened her own practice, serving children in their natural environments, such as the home or school, in order to increase the carryover of skills learned within a therapeutic setting. Since arriving in Boulder, Bethany has also worked with a local gifted children’s middle-high school. Bethany has a keen interest and insight of the sensory, fine motor and developmental needs that children may have to get through a typical school day. She is proficient in various assessments, including sensory, visual motor and perceptual skills, as well as fine and gross motor development.